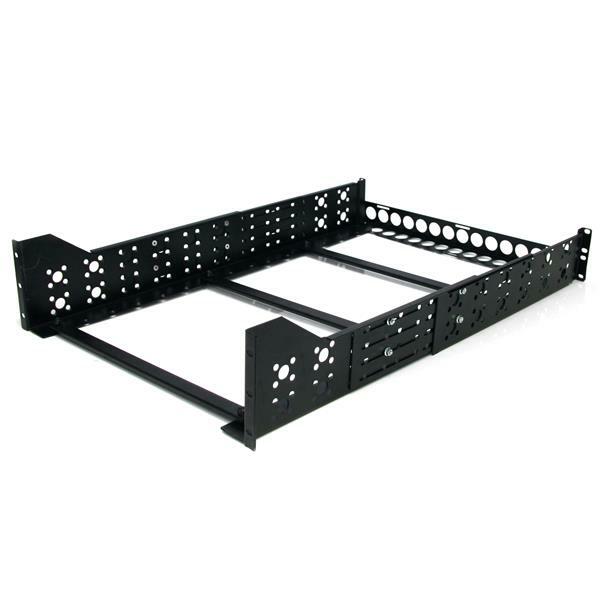 These 3U server-rack rails let you mount non-rackmount equipment such as desktop servers, networking equipment or KVM switches, into your 19” server rack without sacrificing an additional 1U of rack space, like you would with a traditional shelf. 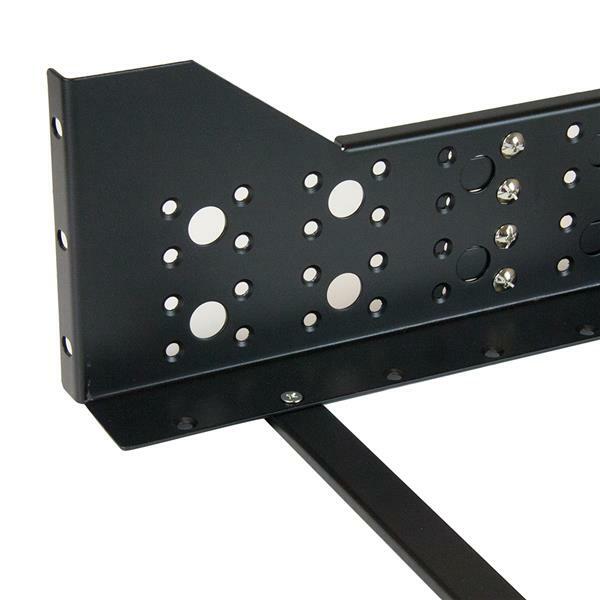 The rack rails are also a great solution for mounting equipment with damaged rails or discontinued OEM equipment such as Dell™, IBM®, HP® or Apple servers that no longer have rack rails available. 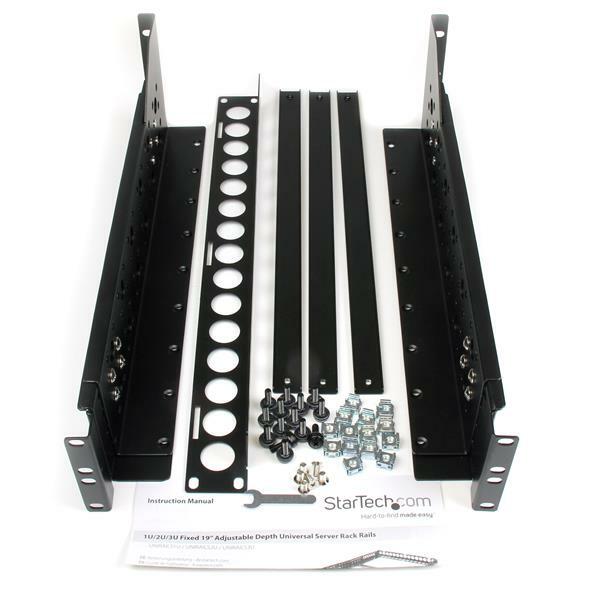 These rack rails add rackmount functionality to your non-rackmount gear, by cradling your equipment in an open frame supported by three sturdy crossbars. You can mount your non-rackmount equipment by mounting the rails to your server rack and placing your equipment on the undercarriage. For equipment that already features mounting holes, the rails also feature multiple mounting patterns to secure your equipment, for an added level of security. 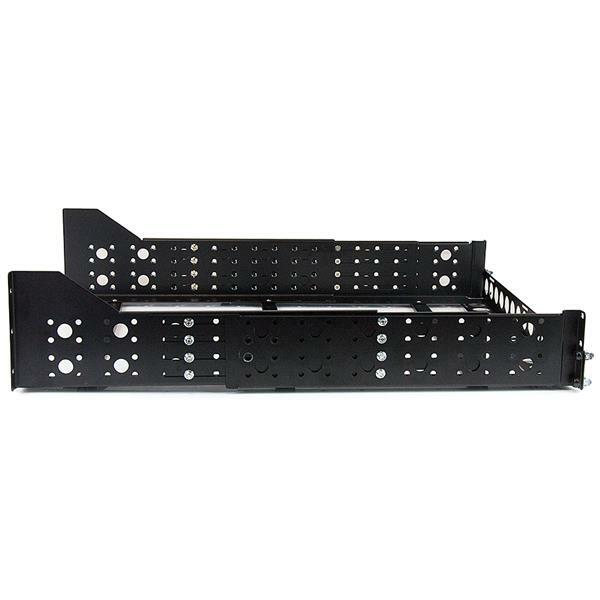 Adhering to the EIA-310 standard for 19” rackmount equipment, these mounting rails are universally compatible with 19” server racks. 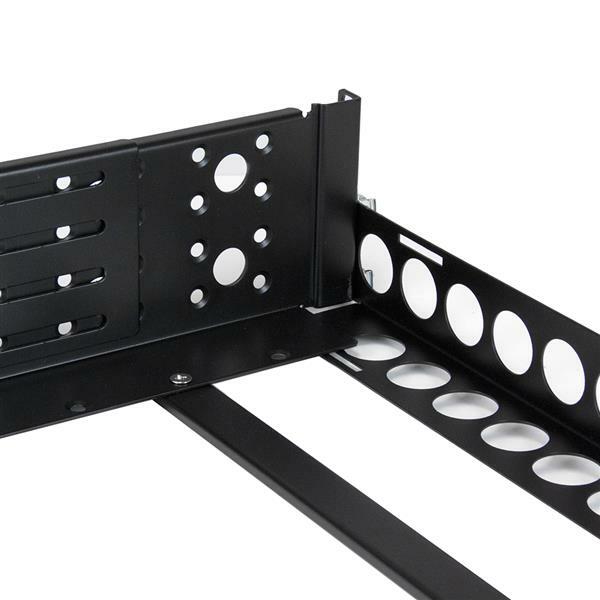 The depth is adjustable for a variety of rack sizes and configurations. Plus, there is a rear cable management panel that’s removable for additional customization. To ensure your equipment is secure, these mounting rails feature cold-rolled steel construction. The durable design can support a weight load of up to 100 lb (45 kg). The UNIRAILS3U is backed by a lifetime StarTech.com warranty with free technical support.